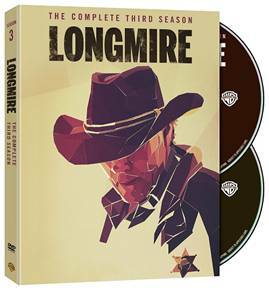 Season two of Longmire ended with a couple of crazy big cliffhangers: Sheriff Walt Longmire’s (Robert Taylor) best friend, Henry Standing Bear (Lou Diamond Phillips) had been arrested for murder and Deputy Sheriff Branch Connally (Bailey Chase) had been shot – apparently by a ghost! Those two cliffhangers led to the overarching plotlines that knit the third season together, with Connally trying to prove that his attempted murder was committed by a real person (and catching that person) and Longmire’s daughter, Cady (Cassidy Freeman), trying to find a way to prove Henry not guilty while Longmire sought a missing witness to make the case for court. Along the way, though, there were interruptions of both epic and intimate proportions – as in the season’s third episode, Miss Cheyenne, in which Longmire had to find a way to solve the murder of a rez doctor while simultaneously helping judge the Miss Cheyenne Nation Pageant (NOT your standard beauty pageant!). Add to the general chaos that quietly infuses the show, Cady is kidnapped by someone who has reason to hate Longmire; Connally appears to be going not-so-quietly mad, and Malachi (Graham Greene) sets his unscrupulous eye on Henry’s bar – and we’re just getting started! Based on the mystery series by Craig Johnson, the third season of Longmire maintains its high quality because of the quality of the novels from which it was developed; a small writers room, and attention to detail on every level from casting to costuming – and, especially, cinematography. Every character on the show has been carefully developed to reflect the effects of time and experience on them – Longmire, for example, started out as a hard drinking, curmudgeonly sort who did his job then went home and had a few beers (or more) and watched TV, but has become much more social (mostly as a defense mechanism, one might think considering the people he has to deal with on a daily basis). Deputy Sheriff Vic(toria) Moretti (Katee Sackhoff) started out as a haunted, but tough, figure and while we’ve learned why over the course of the first couple seasons, we’ve also seen her deal with her past and her already shaky marriage and come out the other side. Even Ferg (Adam Bartley), the third and usually least deputy, has grown into a more confident man as a result of having to shoulder more and more responsibility – to the point that he takes on Connally’s workload while he recovers from his wound and follows his own off book investigation. Adding to the standard mystery and western elements of the show is the way the writers follow Johnson’s blueprint in layering in Cheyenne culture into the show. There are no stereotypes here, cheap or otherwise and the variety of Native American characters ranges from the honorable and forthright Henry to the real estate mogul Jacob Nighthorse (A Martinez) to former corrupt former Tribal Police Chief and ex-con Malachi – and every shading in between. The ten episodes of Longmire: Season Three are as well thought as any premium drama and feature mysteries that would make Sherlock think hard. The cast is superb throughout and the show’s deliberate pace allows everyone to do the best possible work showing their characters’ lives. 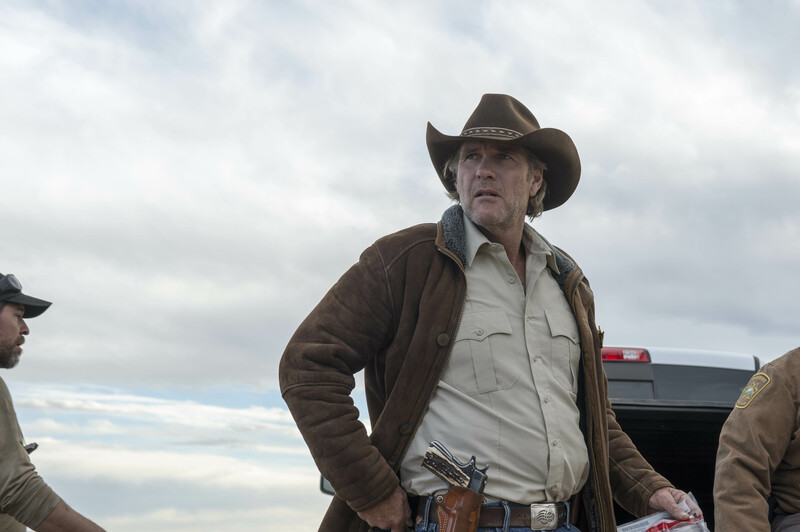 The one extra on the Longmire: The Complete Third Season is a thirty-minute featurette, Longmire: The Ghost in the Storm, that looks at the ghosts that haunt the show’s characters. It’s a pretty decent effort, with interviews with the cast, writers and Craig Johnson but a series this good deserves a few commentary tracks and a look at the show is actually made (I’d love to see a featurette on the cinematography, which is breathtaking). Previous PostDVD Review: Whiplash!Next PostHopkins and McKellen Together For The First time For Starz’s The Dresser!